Panic attacks can strike at any time without warning. These attacks are typically experienced through a combination of uncomfortable physical sensations, disturbing thoughts, and upsetting emotions. Common somatic symptoms include rapid heart rate, shortness of breath, excessive sweating, and chest pain. It is not unusual for a person to become frightened during a panic attack, feeling as if they are losing touch with reality and fearing that they will lose control or even possibly die. Panic attacks don’t care if you’re driving, busy working, or sound asleep. They can occur at any moment without cause even when you’re trying to enjoy yourself while on vacation. Do you have a big trip coming up and feel worried that panic attacks will ruin your vacation? Read ahead to discover 3 tips to managing your panic attacks while on vacation. If you want to travel with ease, it is important to leave for vacation feeling equipped to get through your panic attacks as they occur. You may want to have a plan with whomever you are traveling with as to what the strategy is if a panic attack takes hold. For example, you may request that your loved ones give you the space you need to recover and allowing them to enjoy some activities while you go back to the room to center and settle down. Some additional steps you can take to prepare for your trip include completing any follow up with your prescribing doctor and/or therapist. Let your clinician know your concerns about traveling and make sure you have enough of your medication to take with you. If you are currently participating in psychotherapy, you may want to have several sessions leading up to your trip where your main focus in therapy is how you will cope with your panic attacks while traveling. Keeping a good schedule and plan can be one of the best ways to keep your anxiety to a minimum while traveling. Have a clear itinerary, book your hotel and other accommodations ahead of time, and be ready for the unexpected. It helps to be organized, but your anxiety can also be better managed if you aren’t too rigid. Have a backup plan if there’s a rainy day or if the museum you couldn’t wait to see is closed. And don’t sweat the little hiccups that can occur while traveling. Allow yourself in indulge in a good book or fun magazine, especially if you experience an unexpected delay at the airport or a hotel room that isn’t ready upon your arrival. Remember that remaining flexible while traveling can go a long way in keeping your stress and anxiety under control. It can also be helpful to be aware of your anxiety triggers. For instance, if you tend to get anxious while traveling by airplane or in large groups, decide ahead of time how you are going to handle such situations. Be certain you have your medication with you and labeled with your current information. Many airline travelers who are taking prescribed medications find it useful to have some in their carry on and more in their boarded luggage. When faced with stress, many people will attempt to ward it off while others will try to avoid it. The fight-or-flight stress response is the term used to describe how humans have a tendency to want to attack (fight) or run from (flight) perceived or real dangers in the environment. This stress response is thought to be more easily triggered in those that suffer from panic attacks. Think of your relaxation response as a muscle that you need to develop now so that you’ll be ready to use it while on vacation. 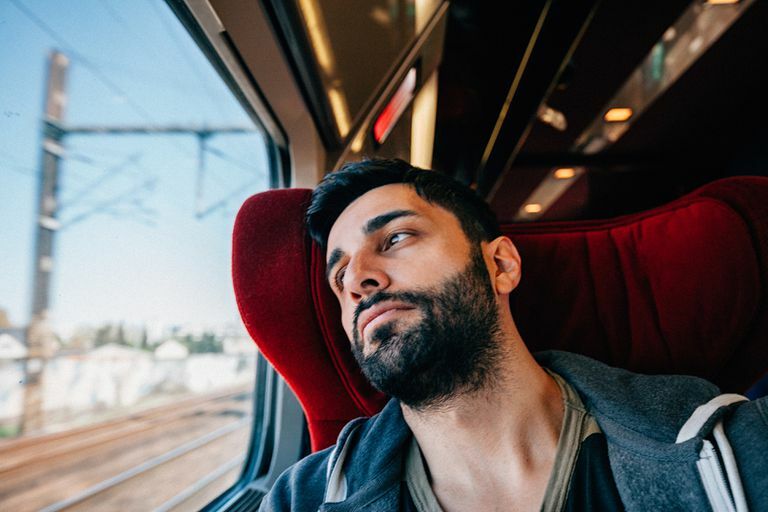 You will need to practice your relaxation techniques in advance so that they will come easily to you while you’re traveling. Pick a relaxation method that works for you and try to practice it 5-10 minutes, several times a week, during the time leading up to your vacation. Many relaxation techniques can be easily done in the morning to start your day out fresh or completed right before bed to allow you to unwind and let go of any worries that built up throughout the day. Keep at it and these techniques may help you better deal with your panic attacks while you vacation. Learn the best ways to manage stress and negativity in your life. Can I Stop a Panic Attack From Happening? Did You Know There Are Different Types of Panic Attacks? How Can I Manage Anxiety and Panic Disorder While Traveling?